Truck drivers are required by law to stay safe and alert while on the road. They are held to a much higher standard than the average driver because of the size of their vehicle. However, trucking accidents do happen and are devastating to everyone involved. In the event of such an accident, you need to properly represent yourself with the help of the Law Office of D’Ann Hinkle. There are multiple reasons why trucking accidents happen. The most common reasons include driver fatigue, distracted driving because of cell phones or other electronic devices, speeding, intoxication, and poorly-maintained trucks or defective equipment. Occasionally the truck company is sued because of negligence that may have caused the accident. Many different injuries can be the effect of such a traumatic accident. Head injuries, including brain trauma and concussions, spinal cord injuries that could lead to paralysis, neck injuries, and other broken bones can be sustained during an accident. If you have injuries, seek medical attention immediately to get taken care of and documented for your case. Taking precautions like wearing your seat belt, following the assigned speed limit, and watching your surroundings could help you to avoid an accident. Even if an accident can’t be avoided, if you’re doing your part to stay safe, then others are more likely to be held responsible for the damages caused to you and your loved ones. Damages can be used for medical bills, time missed from work, emotional and psychological support, and wrongful death, when involved. 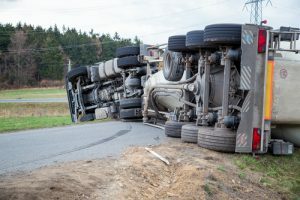 If you or a loved one has been injured due to a trucking accident, contacting a Houston personal injury lawyer is in the best interest for your case. Trying to build and fight for your case yourself can lead to frustration and disappointment. Trusting your case to a Houston personal injury lawyer with over 20 years of experience can help achieve the successful case you want and be able to continue with your life. Contact the Law Office of D’Ann Hinkle today to schedule your consultation.